Hungary ranks worst in the European Union along with Greece and Slovakia in the field of gender equality, according to the European Institute for Gender Equality’s 2017 Gender Equality Index, reports Magyar Nemzet. The report inspected conditions for women in the 28 Member States of the European Union based on their participation in political, economic and social decision-making between 2005 and 2015. 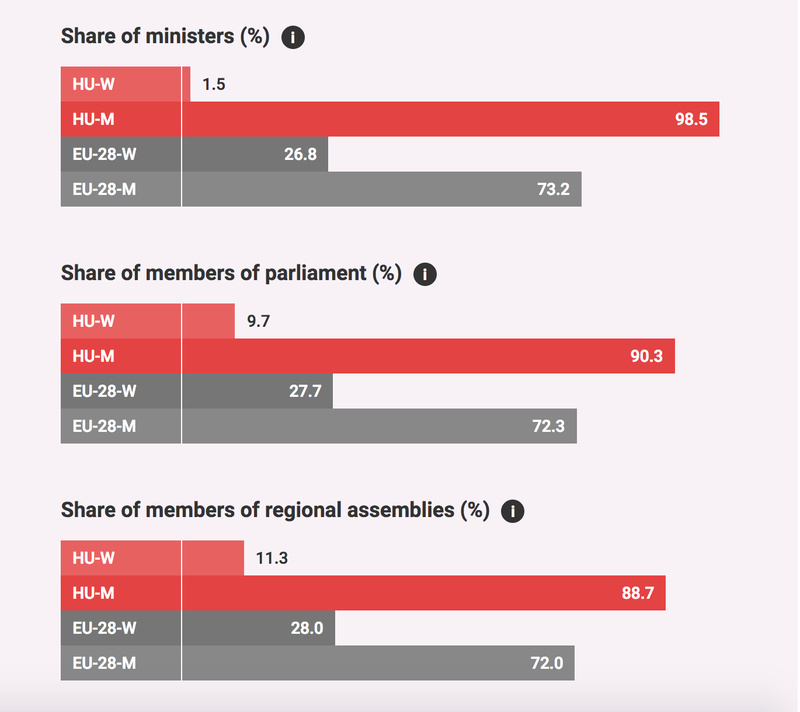 According to the report, Finland, Sweden and France had the most female MPs in their parliaments in 2015 while Hungary, Slovakia, and Cyprus had the fewest. In Hungary, only some 9.7 percent of MPs were female compared to the EU average of 27.7 percent. When it comes to government officials, Hungary is also among the least equal members of the EU. According to EIGE between 2012 and 2015 only 1.5 percent of senior and junior ministers were female. Meanwhile, 26.8 percent of government positions are held by women on average in the EU. The share of women in municipal councils in Hungary is less than half of the EU average of 28 percent. 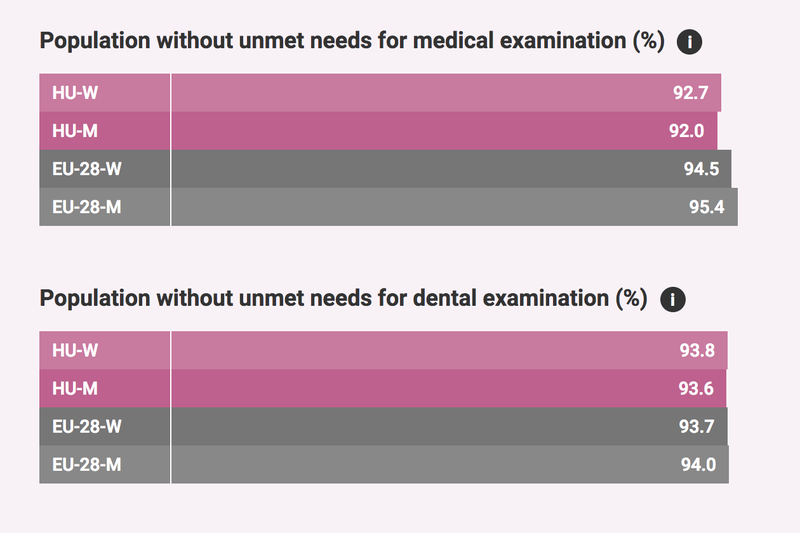 Although the Hungarian public healthcare system faces numerous challenges, there is no remarkable difference between the service provided to men and women according to the report. In the category of accessibility of healthcare, Hungary ranks slightly under the EU average. Interestingly the gender pay gap in Hungary is somewhat smaller than the EU average of 20 percent. Hungary received the best score in this category. 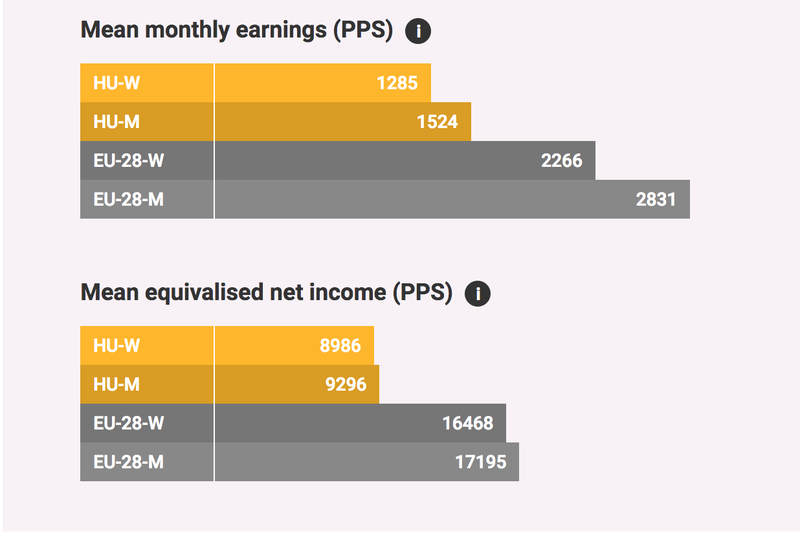 The difference between the mean equivalised net income of men and women is also remarkably smaller than the EU average. 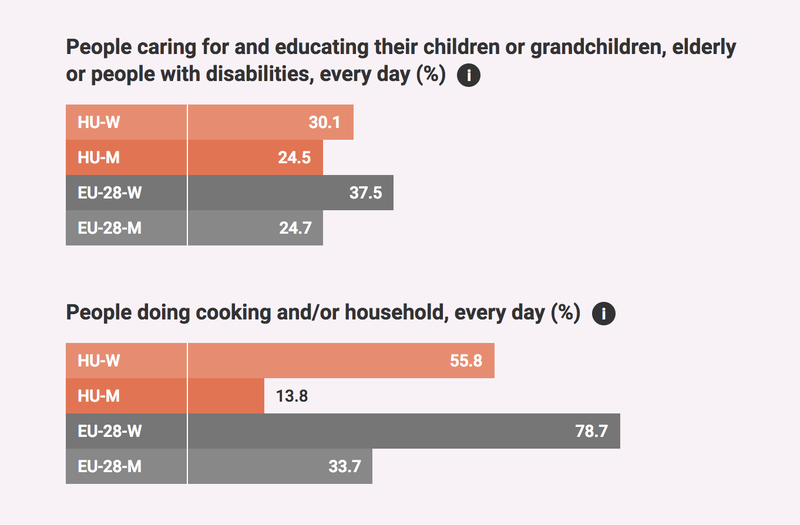 According to the report, while many more women do household chores on a daily basis than men in Hungary, in contrast to EU trends, slightly more women regularly do leisure activities outside their homes than men. Despite Hungary’s low scores in these fields, the Member States on average saw the biggest improvement in gender equality in the field of political and economic decision-making. Between 2005 and 2015 the share of women in the management of companies increased from 10 percent to 22 percent in the EU. 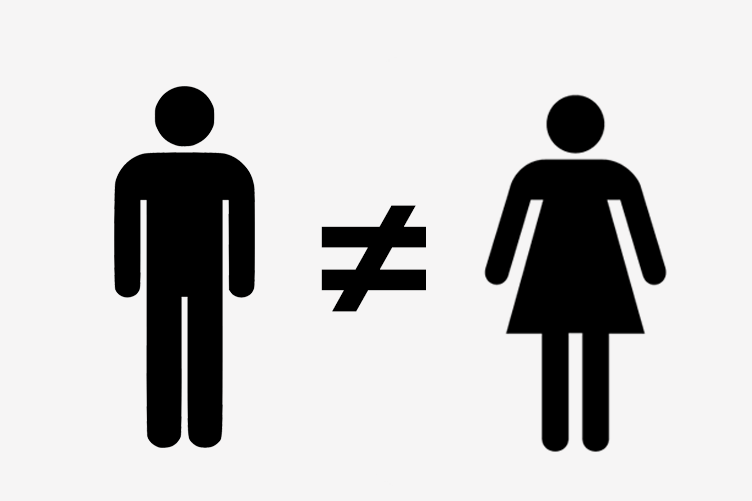 However, in the management of the biggest companies, in the EU the share of women is still only 7 percent. 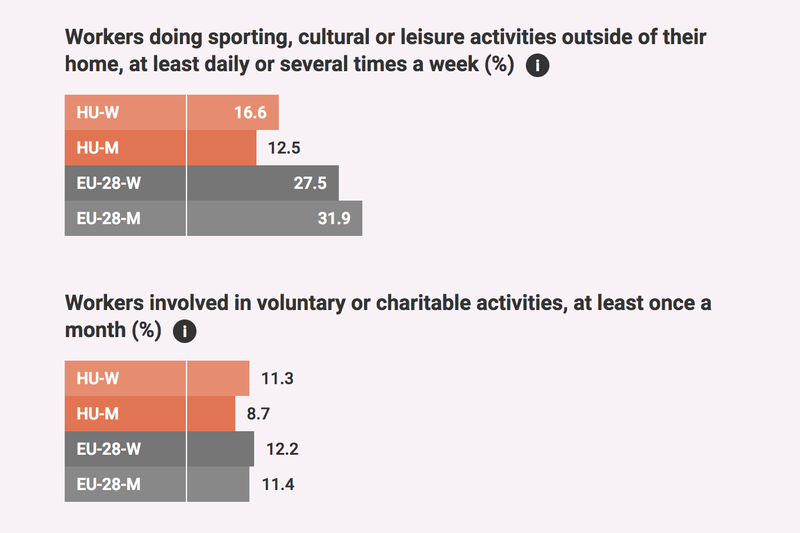 Men still dominate the bank sector, media, and sports. According to the report, Croatia, Cyprus, Italy, Latvia and Spain improved their statistics in all categories since 2005.